To balance the health, safety, and welfare needs of Boxers in the Carolinas (and parts of Virginia) by providing a loving and safe environment for stray, abused, impounded and owner surrendered dogs by placing them in foster homes and ultimately - forever homes. “Financial information about this organization and a copy of its license are available from the State Solicitation Licensing Branch at 919-807-2214 or 888-830-4989 for NC Residents"
Carolina Boxer Rescue was founded in October 2001 by three North Carolina women, Teresa White, Cricket Poston and Kristyn Hogan, who wanted to make a difference in the lives of shelter dogs. The work was hard, the technology of today was not present - they only had a fax machine to accept Adoption Applications! The dogs’ pictures were taken with real cameras (or polaroids!) The volunteers drove all over Virginia, North Carolina and South Carolina, pulling dogs from shelters and driving them to their foster homes. We were a small but devoted group. 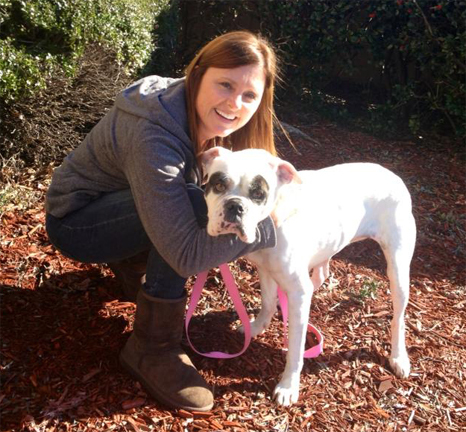 As Carolina Boxer Rescue grew, many dedicated volunteers joined the cause. 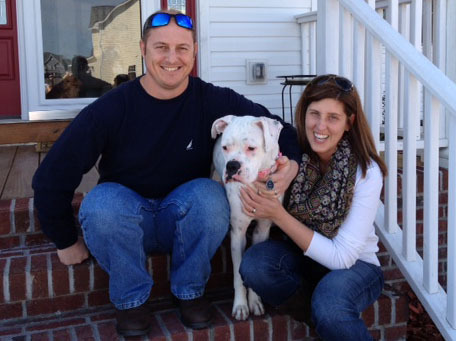 We became larger, with more adoptions and foster homes than any boxer rescue in N.C. or S.C. Hundreds of dogs are saved every year by these hardworking volunteers, foster homes, and adoptive homes. Carolina Boxer Rescue is proud to have saved over 3500 dogs from euthanasia in shelters! Some dogs come to us too far gone to help. Some were abused, with deep scars on their physical body and in their spirit. Some were neglected. Many had extremely advanced heartworms or cancer, left untreated for years. We do the best we can for our furry friends. We give them a good life in our rescue. Many of our nubs are running free at the Rainbow Bridge. Happily, most of the time our care, love, and vet work pays off, and broken and abandoned dogs get a second chance to live the life they always dreamed about. Carolina Boxer Rescue is a 501(c) 3 non-profit organization, so donations are tax deductible. CBR is always in need of loving foster homes, adoptive homes, donors and volunteers. Join us in our goal to “Save the Nubs”! We are always looking for new foster homes, adoptive homes, volunteers and donations!